Porsche has taken the wraps off the 911 GT2 RS Clubsport. Limited to 200 units, the Clubsport edition is a stripped-out, track-ready version of the 911 GT2 RS that set the road-legal Nurbürgring lap record in November 2018. Like the standard RS, the Clubsport is powered by a heavily reworked version of the twin-turbocharged 3.8-litre flat six-cylinder engine used in the outgoing 911 Turbo. The revisions crank its peak power up to a heady 690bhp - a considerable 325bhp more than the last-generation 911 Carrera, and 79bhp more than the previous GT2 of 2010. 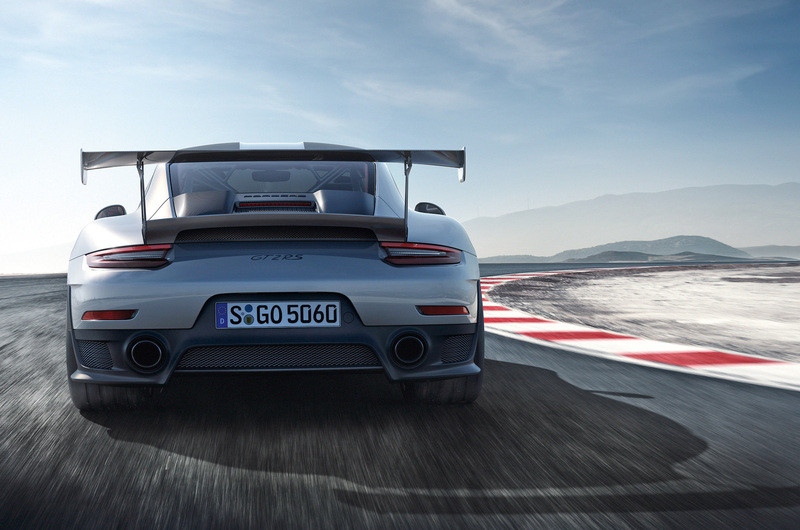 The Clubsport weighs 80kg less than the 1470kg standard model, so can be expected to improve upon the standard GT2's 2.8sec 0-62mph time and 211mph top speed. The weight loss has been achieved through the removal of any unnecessary interior components, including the passenger seat, carpeting and sound insulation. A large roll cage, bucket seat and six-point harness have been added in their place. The Clubsport does retain traction control, stability management and anti-locking brakes, which can be adjusted separately by use of a dashboard-mounted switch. Porsche intends the car, which won't be road-legal, to be used at clubsport events and certain motorsport meets. Priced from £207,506, the first new 911 GT2 since 2010 is also the fourth to enter production since the model name's introduction to the Porsche line-up in 1995. Introduced by two-time world rally champion Walter Röhrl and Porsche GT boss Andreas Preuninger in the footage below, the new product of the Porsche Motorsport division takes the performance potential of the 911 to new heights. A claimed 211mph also enables it to match the top speed of the plug-in hybrid-powered 918 Spyder. That makes the new 911 GT2 RS not only the quickest-accelerating but also the joint fastest road-legal series-production Porsche model yet. 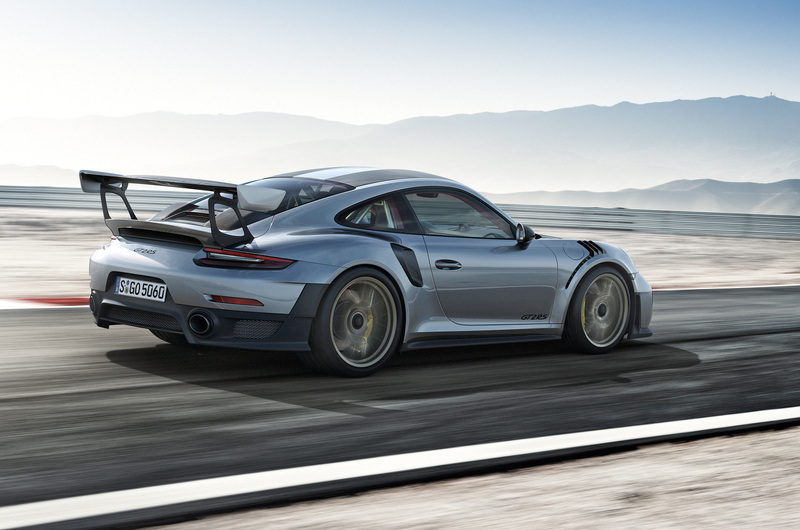 The design of the new 911 GT2 RS closely follows that of the two-year-old 911 GT3 RS. The changes over other 911 models are mostly functional, with cooling requirements and additional downforce taking clear priority over stylistic concerns. A wide central indent within the bonnet and roof and a two-tone paint scheme provide visual links to earlier air-cooled competition-focused 911s from the 1960s, 1970s and 1980s. In a bid to trim weight, the bonnet, front wings, exterior mirror housings and many of the air duct surrounds are made from carbonfibre. In line with weight-saving initiatives used on the 911 GT3 RS, the new 911 GT2 RS also has a magnesium roof. Mirroring the strategy taken with the 918 Spyder, Porsche is offering a £21,042 Weissach Package that takes an extra 30kg off the car’s overall weight through various measures, including the adoption of carbonfibre for the roof and rollbars and magnesium for the wheels. Among the powertrain developments are larger turbochargers with water-to-water intercoolers to reduce the exhaust gas temperature at high revs for improved combustion efficiency and extra top-end power. There’s also a titanium exhaust system, which is 7kg lighter than the standard unit and has a new routing that is claimed to enhance the exhaust note. The car runs on the same-size wheels and tyres as the 911 GT3 RS: 20in centre-locking rims up front shod with 265/35 tyres and 21in rear wheels with 325/30 tyres. The 911 GT2 RS has a revised version of Porsche’s ZF seven-speed dual-clutch automatic gearbox and mechanical locking differential. Described by Porsche as a custom component, the gearbox receives new ratios, among other changes, to take full advantage of the car's increased power and torque. The model gets the four-wheel-steering system of the 911 Turbo and comes as standard with carbon-ceramic brakes. In addition, the stability management system has been uniquely calibrated. Inside, the 911 GT2 RS has a combination of black leather and red Alcantara upholstery as well as carbonfibre trim elements. There is a sports steering wheel with paddle shifts and carbonfibre-backed motorsport-spec seats. Standard equipment includes a Porsche Communication Management system, which groups infotainment functions – including Porsche Track Precision, a circuit telemetry app – into a central touchscreen-based unit. An optional Chrono Package expands the Porsche Communication Management system’s functions to include a performance display, which can be used to show lap times. To mark the launch of the 911 GT2 RS, Porsche Motorsport has teamed up with Porsche Design to create a new watch, which will be offered exclusively to buyers of the car. It obviously needs more power (and of course a manual box), but otherwise it looks very good. A joyfully mad car for people who can actually drive. But will only be sold in the UK to "friends of Porsche", who will sell them on for vast profits to other wealthy individuals . Glad to say I purchased my GT4 in Germany ( not "a friend of Porsche" ) and have used it hard ever since, over forty days on track and counting ! I've learned some interesting stuff about how UK Porsche Centers allocate cars to "friends", and frankly it disgusts me . Porsche engineering is superb, the way they sell the product in the UK deeply devalues that supreme effort . Spot on Ravon, a very regettable situation.